Jim Clancy has been covering world affairs for more than 30 years. Do you believe the international response to the Haiti disaster has been adequate? The discussion will take place after a special edition of "The Brief"
(CNN) -- Join CNN's Jim Clancy for a live Skype chat on Haiti at 11.30 ET (16.30 GMT) Wednesday. Do you believe the international response has been adequate? Could aid have been distributed faster? What should happen next? We want to hear your thoughts. The discussion will take place after a special edition "The Brief," which airs on CNNI TV at 11am ET. A link to the chatroom will be posted at CNN.com/international at 16.30 GMT. 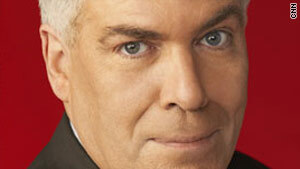 Jim Clancy brings the experience of more than three decades covering the world to every newscast on CNN International. His career includes reporting on the events that have shaped history over the last quarter of a century.